In response to the looming development upheavals taking place in Covent Garden, the community began to organize itself. Brian Anson, a disillusioned former member of the Planning Team, and Reverend Austen Williams, vicar of St.-Martin’s-in-the-Fields, were two key figureheads of the grassroots movement to stop the GLC Plan. Brian Anson realized late in 1970, while he was still on the Planning Team, how destructive the GLC Plan would be. He circulated a letter to residents in which he described his “grave misgivings” about the Plan, a sentiment shared by many by expressed by few at the time. The letter found its way back to GLC headquarters and Anson was removed from the Team. The Reverend, whose parish district included part of Covent Garden, also became involved in the battles to save the community. A protest meeting on 1 April 1971 brought together about 500 people who were ready to do something about the situation. 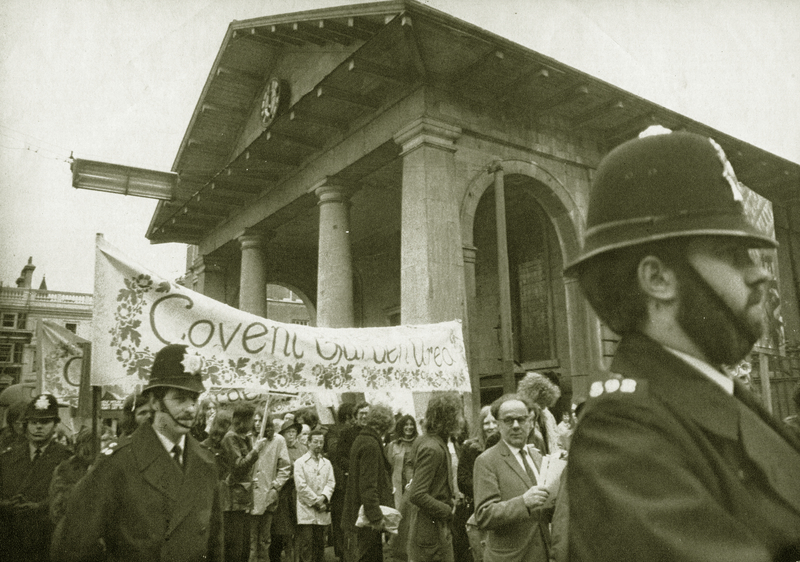 Things came to a head in the autumn of 1971 as a public Inquiry was held to decide whether the Plan was truly appropriate and beneficial to Covent Garden. 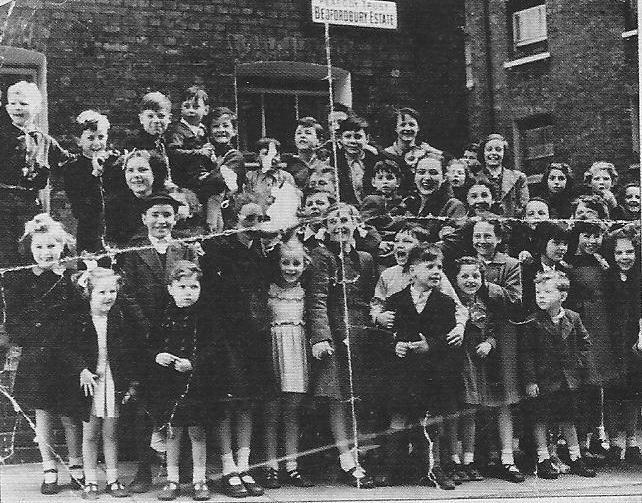 The roguish rabble-rousers buckled down to do serious battle as formal objectors to the plan. The CGCA was one group of many: objectors “ranged from national amenity societies and financial interests to local pressure groups and individual residents or business people.” (Christensen) Those who testified were eager to have their voices heard at last. However, Monahan describes that “what purported to be an independent enquiry was evidently a charade and the result preordained. True to form, the enquiry approved the GLC’s proposals.” All hope was not yet lost, however. The Secretary of State for the Environment, Geoffrey Rippon, had the final say. In January of 1973, while appearing to approve the Plan, he listed over 250 Covent Garden area buildings as sites of historical protection and made critical recommendations for amendments to the Plan. The CGCA and everyone who had supported the cause of the community had, by the skin of their teeth, saved Covent Garden. The CGCA is still active today, protecting the interests of those who live and work in Covent Garden. They work with Westminster and Camden Councils as well as local businesses to maintain quality in areas like housing, street environment, business licensing, town planning, and health care. Over the years the CGCA has been responsible for a wide range of projects, including the Seven Dials Community Centre, Jubilee Hall Sports Centre, the Covent Garden Area Trust, community gardens, tenants’ associations, and a variety of others. Without this group, made up of and supported by the Covent Garden community, Covent Garden as we know and love it today would not exist. For more information see their website. "Rhubarb to the Covent Garden Plan." Timeout 14 May 1971: 8-13. Print. Monahan, Jim. "Rev Preb Austen Williams CVO - An Appreciation." Covent Garden London. Covent Garden Community Association, Dec. 2001. Web. 10 Oct. 2012. Lane, Sarah. Personal interview. 9 Oct. 2012. Christensen, Terry. Neighbourhood Survival. N.p. : Prism, 1979. Print. Pembroke, Simon. An Independent Report of the Objections Raised at the Inquiry into the Covent Garden Plan . London: n.p., 1972. Print. Anson, Brian. I'll Fight You for It! : Behind the Struggle for Covent Garden. London: Cape, 1981.Print. This gallery was added by Anne Bransford on 07/11/2012.